This rocket may look like a rendering, but it’s actually quite real. The 3 m long model of NASA’s Space Launch System (SLS) is seen suspended in NASA’s Langley Transonic Dynamics Tunnel, where it is monitored at speeds up to Mach 1.2. 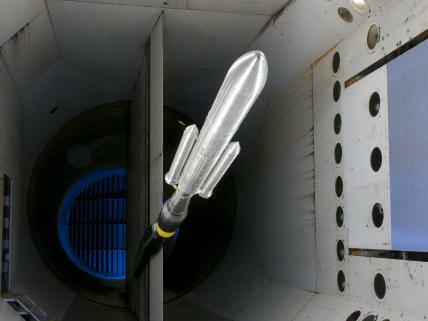 “The test includes the largest integrated vehicle model to be tested in a wind tunnel for SLS,” says John Blevins, SLS Lead Engineer for Aerodynamics and Acoustics. SLS buffet model in the Langley Transonic Dynamics Tunnel (Credits: NASA). As the model flies, 360 transducers record the pressure across the vessel’s surface. The model is rigid, unlike the real SLS, but the pressure profile will help model the movement the flight vehicle can be expected to experience . 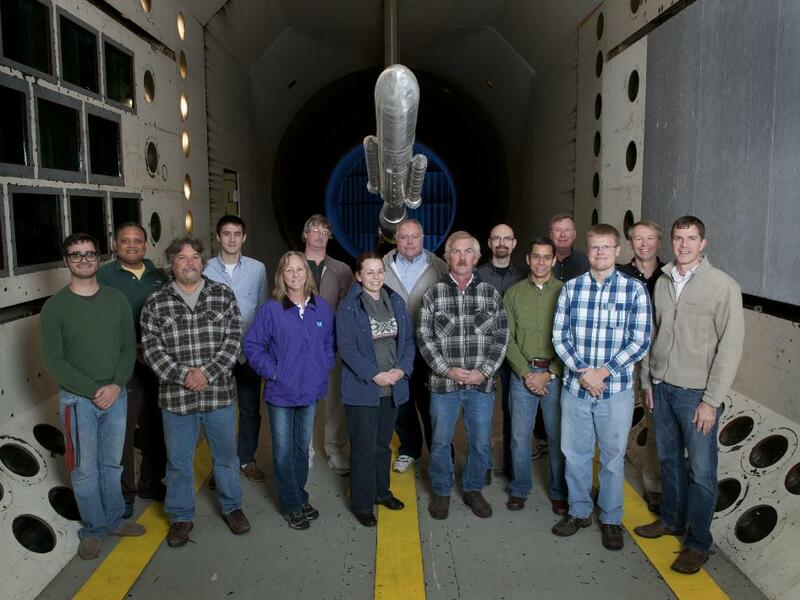 The SLS buffet model pictured with the Langley Aeroelasticity team (Credits: NASA).